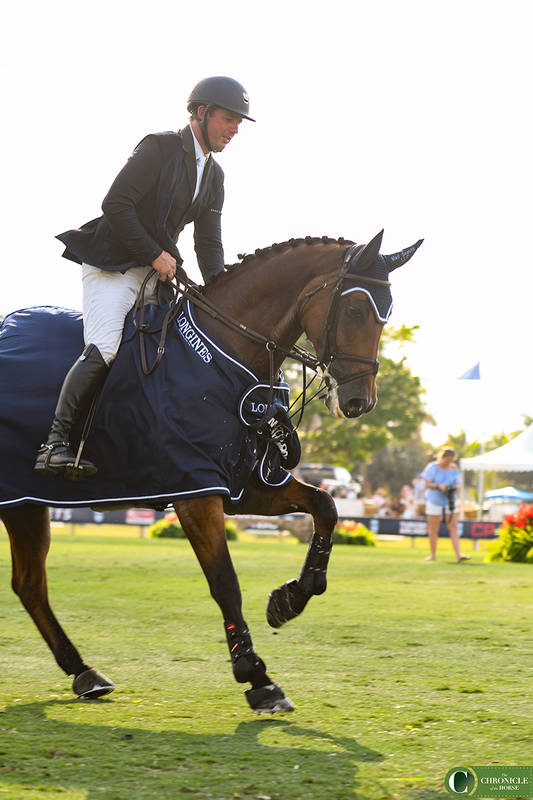 “No one wants to see 15, 20 clear rounds in a grand prix or qualifier,” course designer Alan Wade said in the press conference that followed the $208,200 Longines FEI Palm Beach World Cup Qualifier. He referenced Friday’s $71,200 Suncast Palm Beach Masters qualifier, which saw 21 of the 51 starts go clear in the opening round. 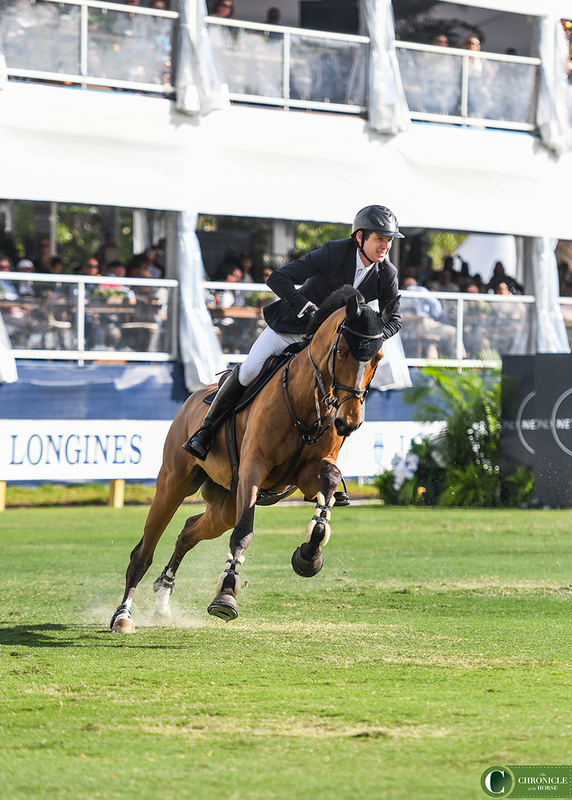 While the feat was a testament to the level of talent at the CP Palm Beach Masters, held at Deeridge Farms in Wellington, Florida, Wade knew he would have to raise the standard for Sunday’s featured test. The best of the best fell victim to the 14 obstacles on course, and it would be the fairly inexperienced Carlchen W, who won Friday’s qualifier under the United States’ Alex Granato, who rose to the challenge. Alex Granato and Carlchen W mid victory gallop. 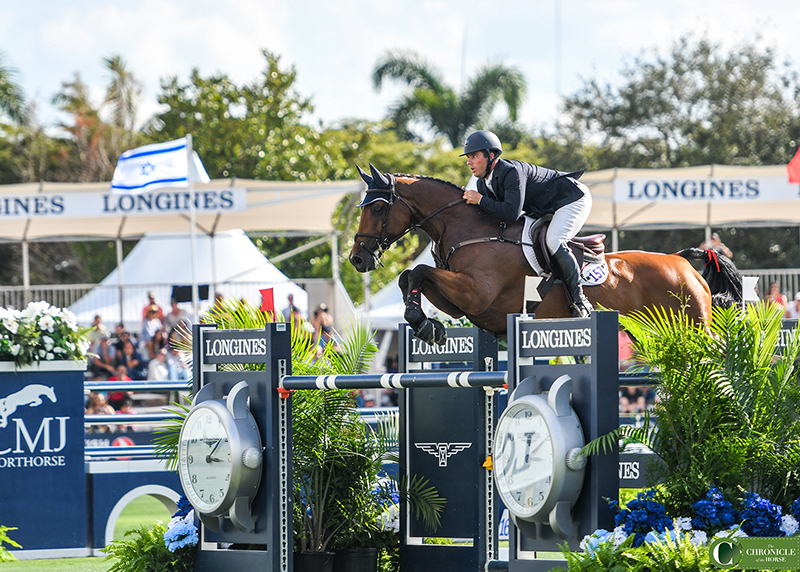 Last April, Granato and Carlchen were called upon to compete at the Longines FEI Jumping Nations Cup of Mexico (Coapexan), which saw the horse jump double-clear rounds and the United States finish second. They then went to Barcelona, Spain, in October and rode to 0 faults in the Longines FEI Jumping Nations Cup Final Challenge Cup, helping the United States to a team second. Before committing to the idea of competing at this year’s World Cup Final in Gothenburg, Sweden, Granato will see how the points pan out. “Starting last year, [the World Cup Final] was kind of a big goal of mine,” he said. “Then when Barcelona came up I stepped out of doing a few qualifiers, so I’m a bit behind. I’m going to take a look at the points and if I’m in contention I’ll look to go into [the March 7-10, Longines FEI Live Oak World Cup Qualifier (Ocala, Florida)] for a few more points. I’d love to go, but I’m focusing on later in the summer, hopefully gearing towards trying to be on the team [for the Pan American Games in Lima, Peru]. Mario Deslauriers and Bardolina 2. Canada’s Mario Deslauriers and the 10-year-old Holsteiner mare Bardolina 2 (Clarimo—Villimey, Landos) posted the trailing time of 43.48 seconds to finish second. Deslauriers has been bringing the horse along since May 2017. The pair attended the 2018 World Equestrian Games in Mill Spring, North Carolina, and they were on the winning team at the Longines FEI Nations Cup Jumping Final in Barcelona, Spain. Switzerland’s Beat Mändli saw the Masters as the perfect time to bring the 11-year-old Dutch Warmblood mare Dsarie (Veron—Tinette, Ahorn) back into competition. An injury sidelined her from sport for the past six months. 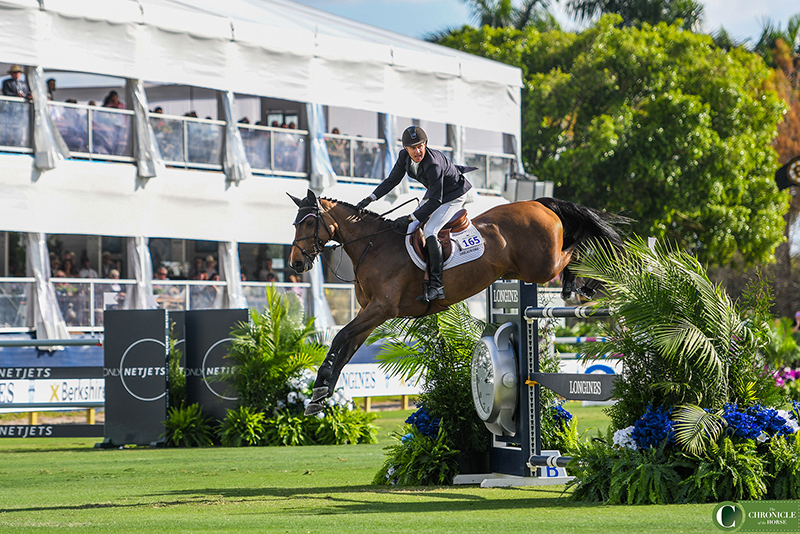 Click here to see coverage from the Jan. 31- Feb. 3, Longines Palm Beach Masters CSI4*-W.